Tuesday is the slowest day of the week. Tuesday makes people forget the refreshed feeling of the weekend. With their music, Chu’s day. Expects listners to make such Tuesday more joyful. Thanks to this, more and more people love Chu’s day.’s music. Chu’s day. 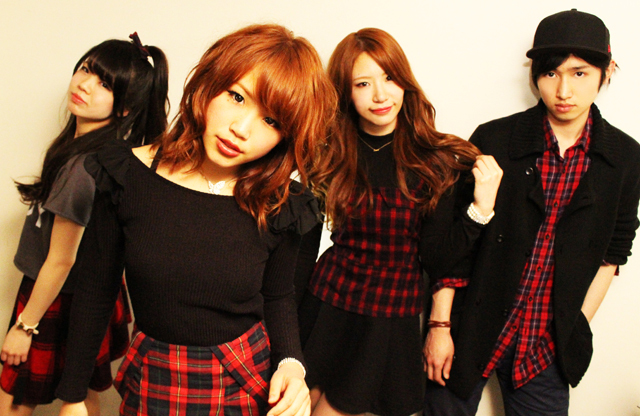 Is composed of 4 members, 3 women and a man: Eri on Vocal, Yu-Na on Guitar, Akari on Bass and Keita on Drums (Average age 19 year-old / Expected female vocal rock band). In February 2014, Chu’s day. Started live performances at Tokyo live music clubs. In December 2014, they held a three-men live. In February 2015, for their first anniversary, they held a successful one-man live, for which the tickets have been sold out in 3 days. In August 2015, Chu’s day. Released their first album “Have a nice Chu’s day”.